Warning: Spoilers ahead for Red Hood and the Outlaws #17, on sale now. Following the events of last week's big Death of the Family finale in Batman #17, fans were divided as to whether or not the payoff was quite as dramatic as they'd hoped. After all, many fans felt like they were owed "a body," and when they didn't get one, the story seemed to lose a little bit of its scope. 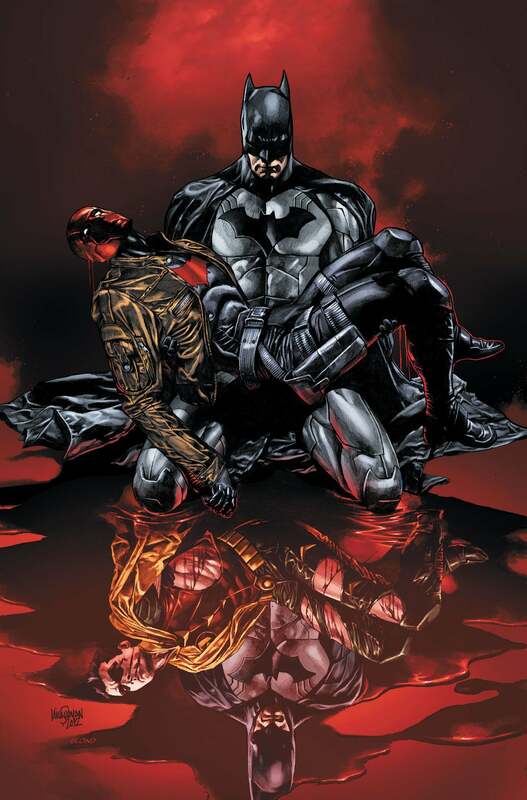 Heck, there were those apparent spoilers that leaked a while back, depicting Jason Todd with the mangled face under his fractured Red Hood mask, and even that didn't happen! 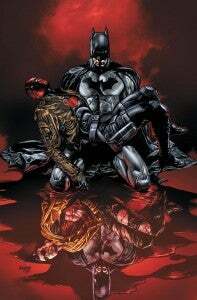 Today's issue of Red Hood and the Outlaws, now available on Nook, certainly seems to suggest that those images we saw last month weren't just symblic in nature. Teasing a next issue that's titled "Jason Todd, This Was Your Life," and spending way more time than was necessary with Jason making "Feh! Like the Joker was going to kill me AGAIN!" 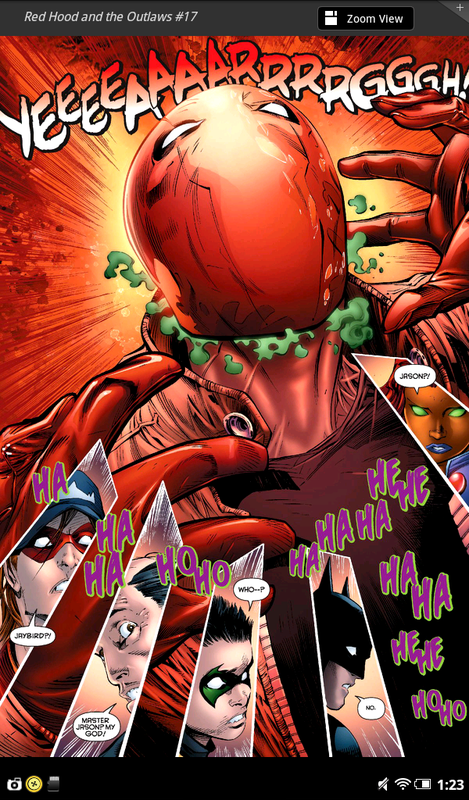 jokes while strolling Wayne Manor, the issue concludes when, after a brief pep talk from Batman, Jason grabs his Red Hood helmet and starts making his way off the grounds with Starfire and Arsenal.